Working in film and film installation, Jennifer West makes exciting and visually arresting works that blend filmmaking, painting, and performance art. She treats the celluloid as both a medium to record actions and a surface to be manipulated—often with unconventional and disparate substances. Responding to the specific architecture of the venues where she exhibits her work, West projects her films—sometimes as singular painterly entities and other times as multichannel projections—filling the space and giving it shape through a cacophony of color and movement. Perspectives 171: Jennifer West is the first solo museum exhibition for this Los Angeles-based artist and is curated by Valerie Cassel Oliver, CAMH curator. West’s work is reminiscent of that created by early pioneers of American avant-garde film in the 1960s like Stan Brakhage, Stan VanDerBeek, and Nathaniel Dorsky, who emphasized abstraction and visual experimentation over more traditional documentary and narrative modes. Her works may be psychotropic and hallucinatory, but they are carefully constructed. They rely on both her own painterly skills and the alchemical effects of the substances she employs to transform the film. Usually created without sound, her experimental works reference iconic moments in film, music, and art history. West uses footage showing performers portraying iconic moments in the history of music and art as well as reenacting classic film scenes. She then obscures the recorded images by having the same performers—often close friends or relatives—physically interact with the film using materials like candy, Kool-Aid, fruit juice, Lysol, perfume, energy drinks, makeup, or skateboard wheels. The original image is often obscured beyond recognition, leaving only rich, pulsating hues. At CAMH, West features five film projections created between 2008 and 2010, one of which has been created specifically for this occasion. A limited edition zine, created by the artist, will also accompany the exhibition. West lives and works in Los Angeles, CA. She has exhibited widely, including solo exhibitions at MARC FOXX and White Columns, New York, both in 2007; at Transmission Gallery, Glasgow, and Vilma Gold, London, in 2008; MARC FOXX in 2009; and Kunstverein Nuremberg, Germany, and Western Bridge, Seattle, in 2010. She staged her first live performance at the Tate Modern, London, in 2009. Her work has also been featured in numerous museums and galleries throughout the United States and abroad, including an installation at Tate St Ives, Cornwall, UK (2007), which traveled to CAPC musée d’art contemporain de Bordeaux in France; and presentations at the Museum of Contemporary Art Detroit (MOCAD) (2007); ZKM Center for Art and Media, Karlsruhe, Germany (2007); The Drawing Center, New York (2008), traveling to the Rose Art Museum, Waltham, MA; Aspen Art Museum (2008); Henry Art Gallery, Seattle (2008); Institute of Contemporary Art, University of Pennsylvania, Philadelphia (2009); Cubitt Art Gallery, London (2009); Leubsdorf Art Gallery at Hunter College, New York (2009); and the Aspen Art Museum (2010). 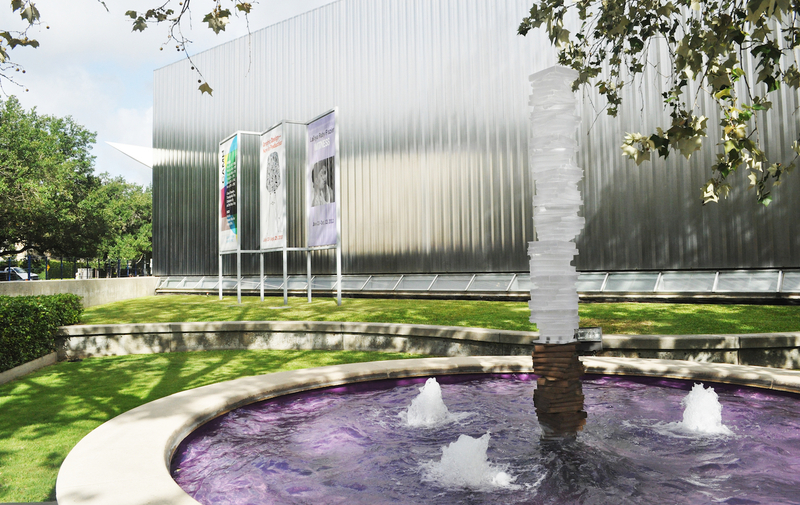 West’s work is currently on view in Kurt, Seattle Art Museum, and Celluloid. Cameraless Film at the Kunsthalle Schirn in Frankfurt, Germany. 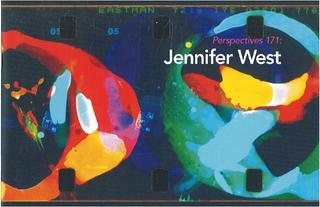 Perspectives 171: Jennifer West is organized by Valerie Cassel Oliver, Curator at the Contemporary Arts Museum Houston.